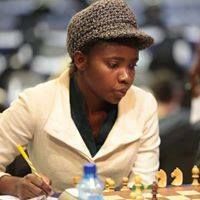 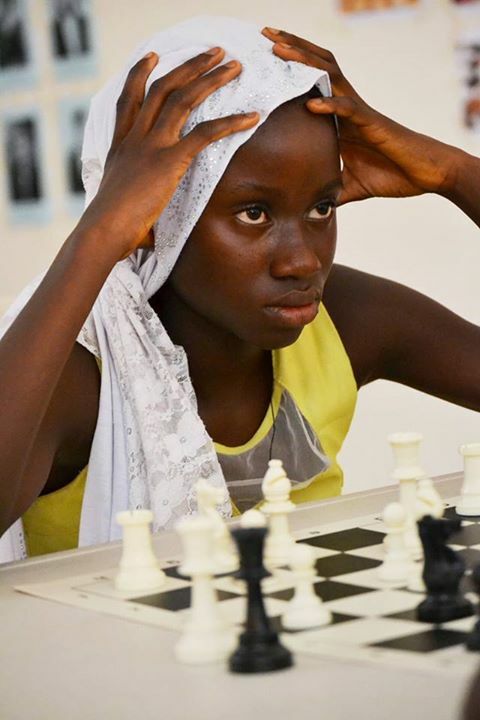 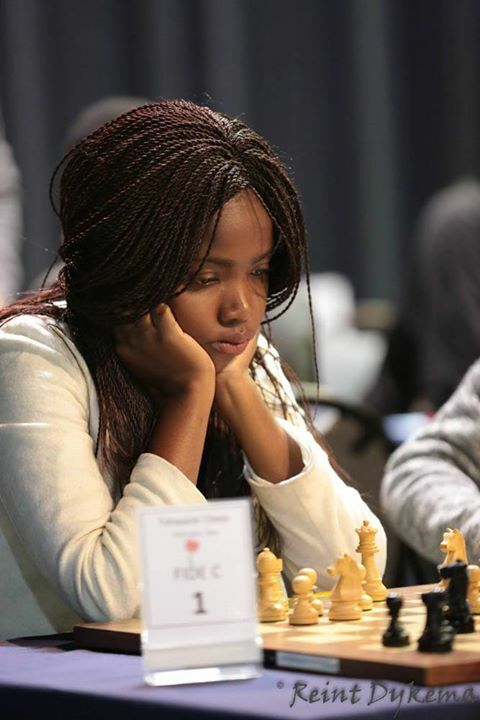 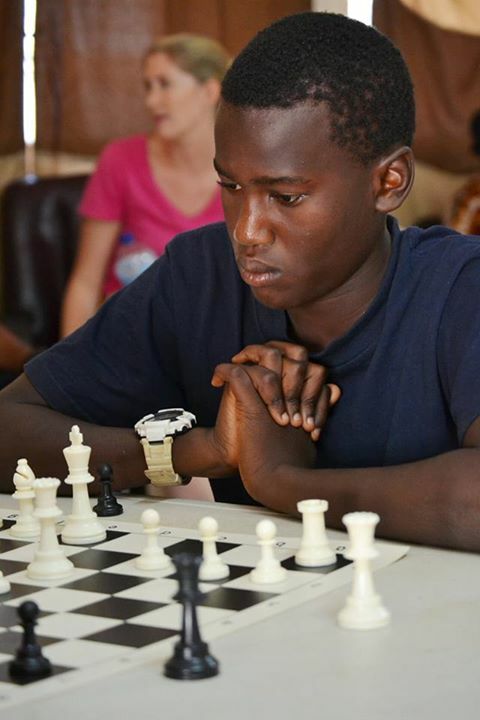 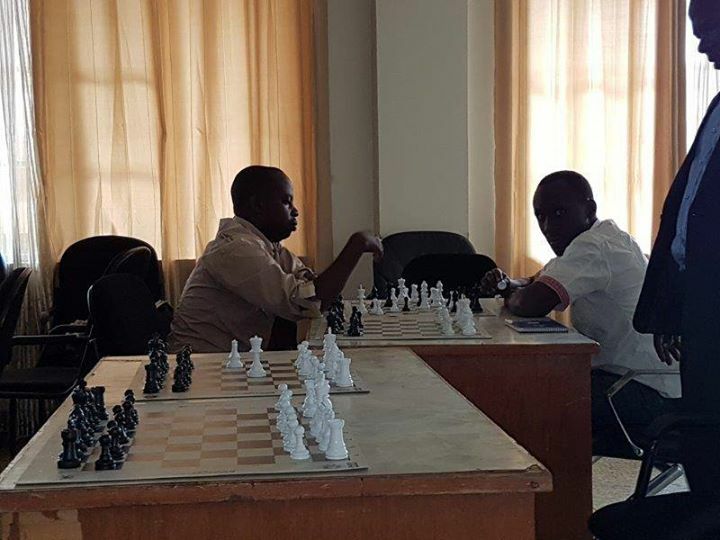 The 2017 Rwanda Genocide Memorial Chess Tournament will feature some of the top players from East Africa in a strong regional event offering more than 700,000 Rwf in prize money. 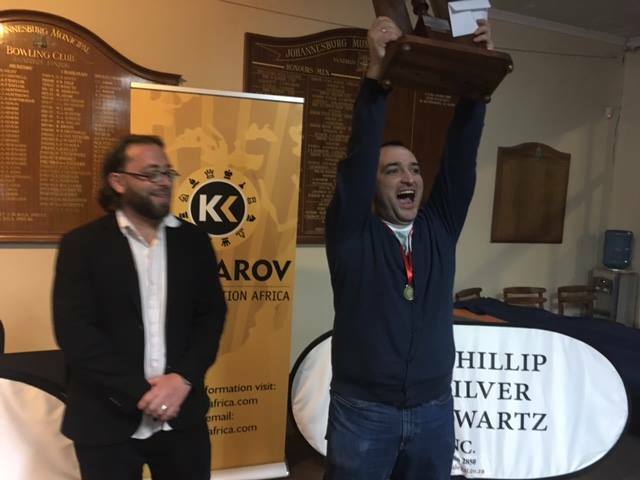 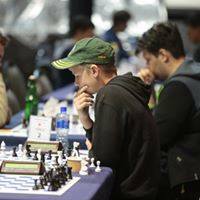 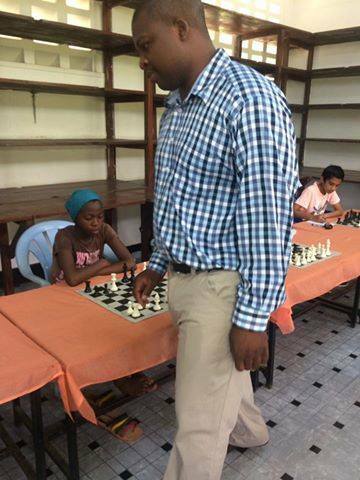 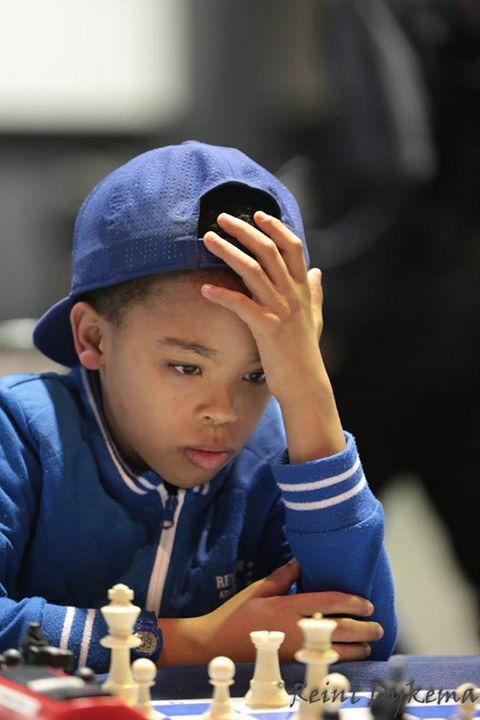 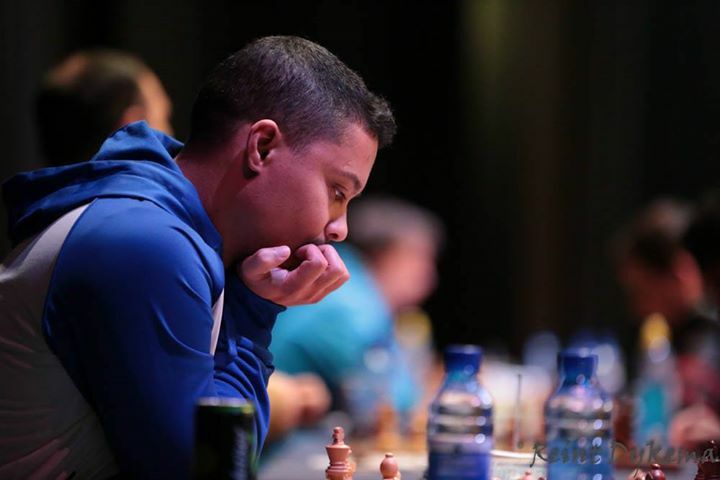 International Grandmaster Maurice Ashley will be the special guest and will conduct coaching sessions and exhibitions during the event. 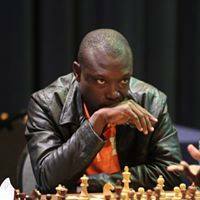 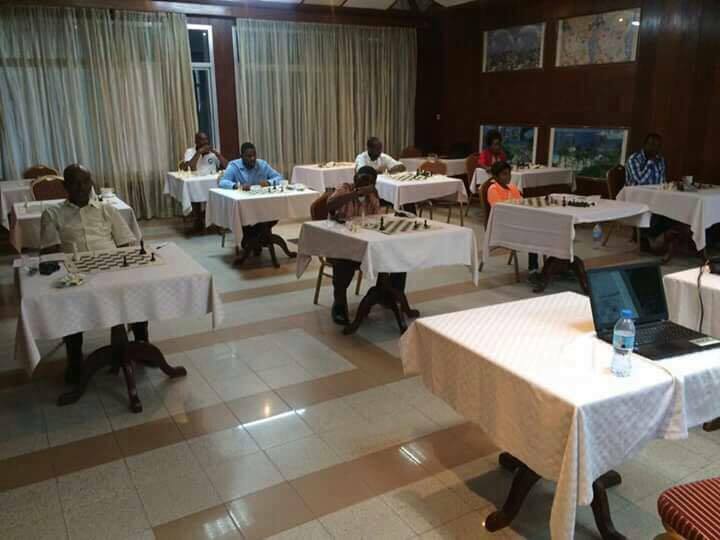 The 2017 Rwanda Genocide Memorial Chess Tournament will take place at the Classic Hotel in Kigali, Rwanda from the 9th - 11th July 2017.
International GM Maurice Ashley will be in attendance this year as he will be in the country as part of the Chess Masters for Africa Tour at the same time that the event takes place! 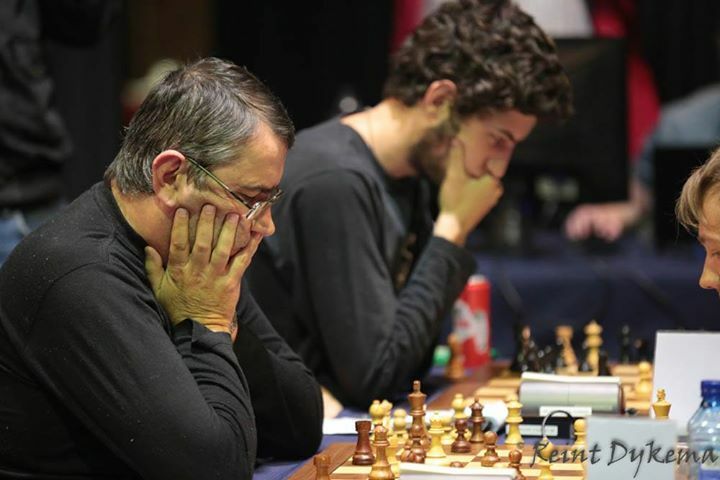 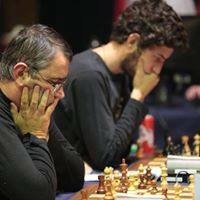 http://chess-results.com/tnr281585.aspx?lan=1 within 1-2 days of registering. 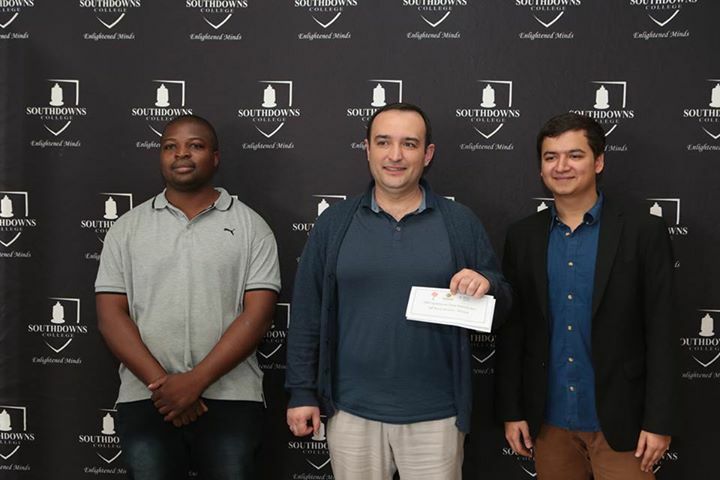 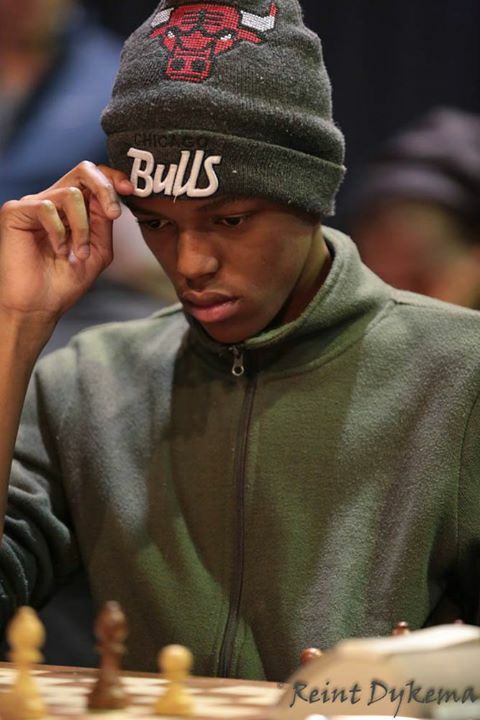 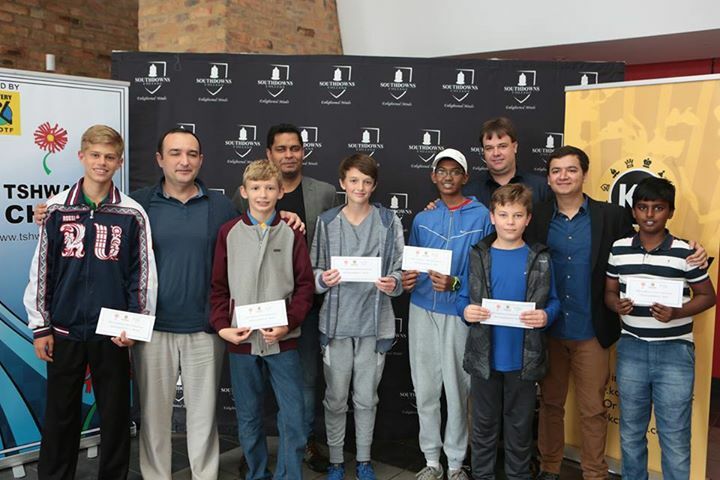 Local players are required to pay in advance while foreign based players may pay entry fees on arrival. 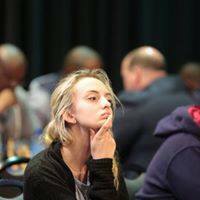 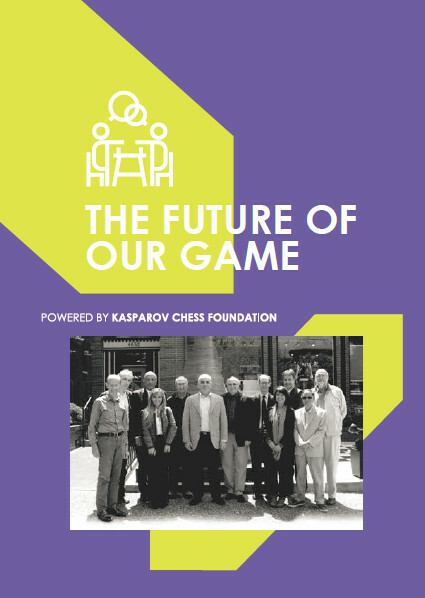 Entry is free for international players with a FIDE rating in excess of 2200+. 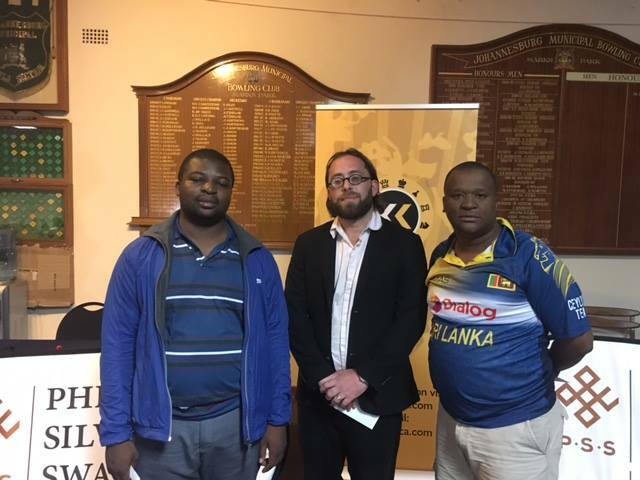 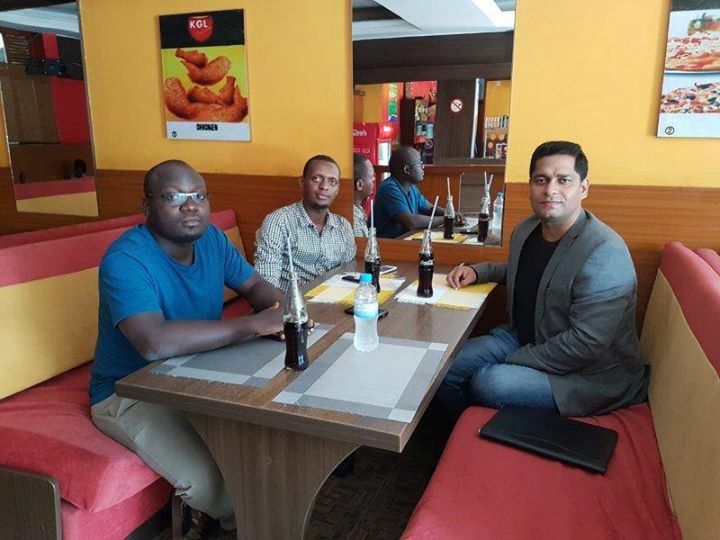 Foreign based players who would like assistance to secure accommodation either at the Classic Hotel or at nearby budget hotels are asked to contact Mr Alain Niyibizi or Mr Kevin Ganza who will be happy to assist where required. 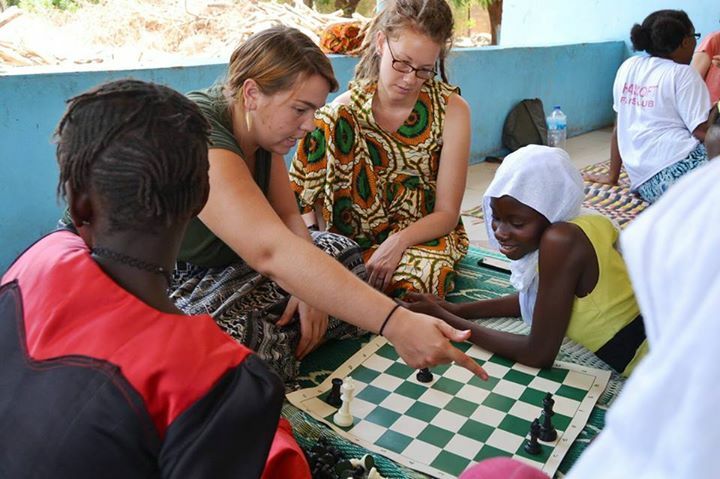 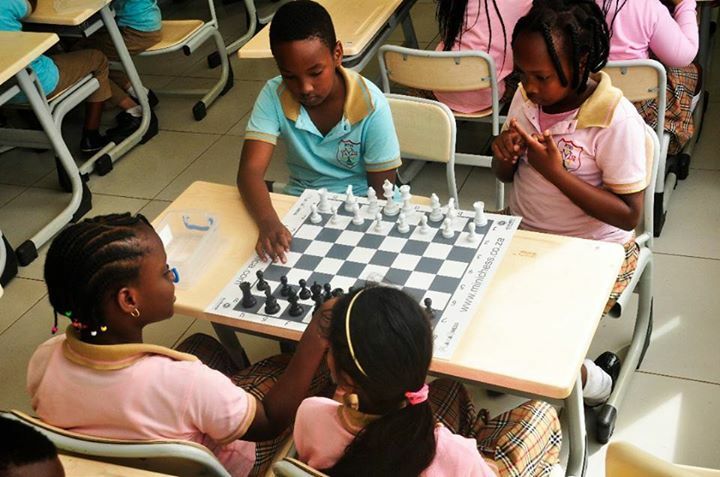 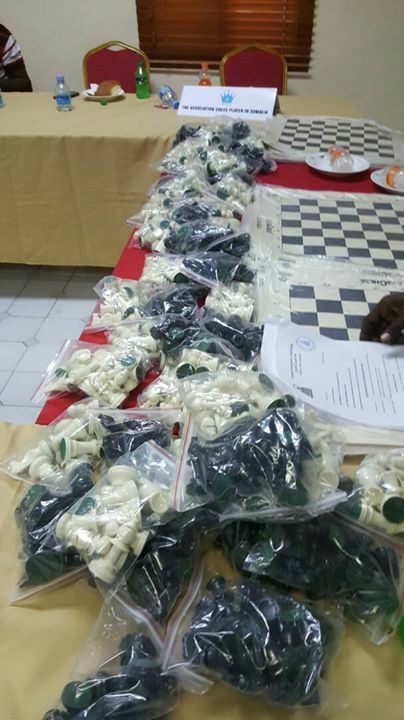 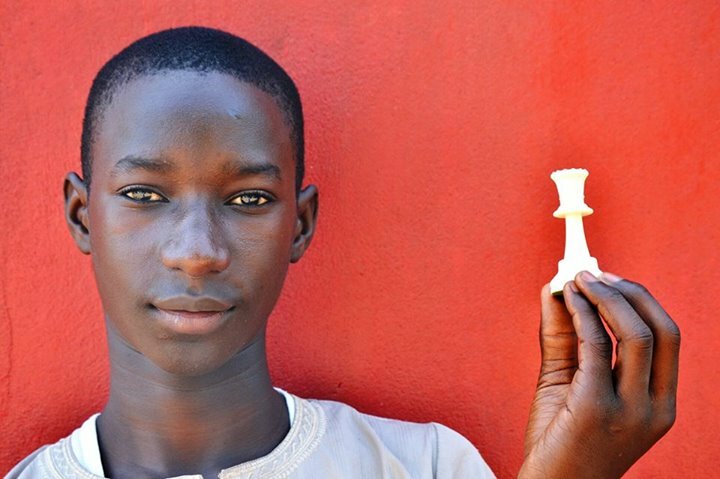 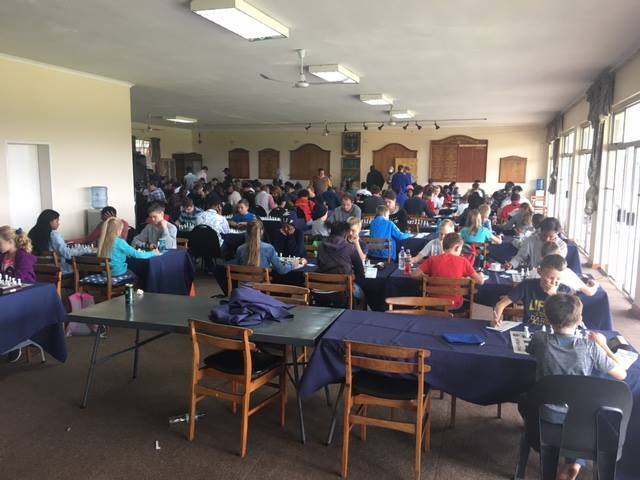 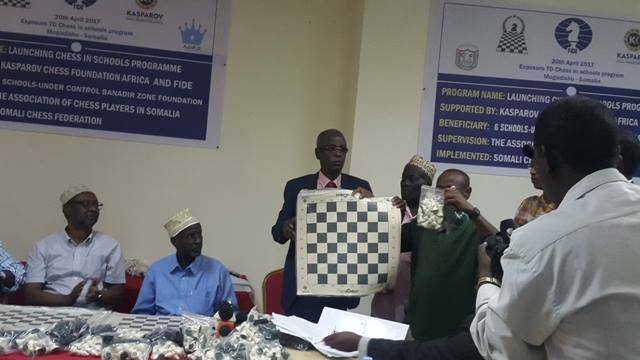 We are always happy to learn that our donations are being put to good use and this has definitely been the case in Somalia where the 600 chess boards and sets sent by KCF Africa are clearly making a major impact. 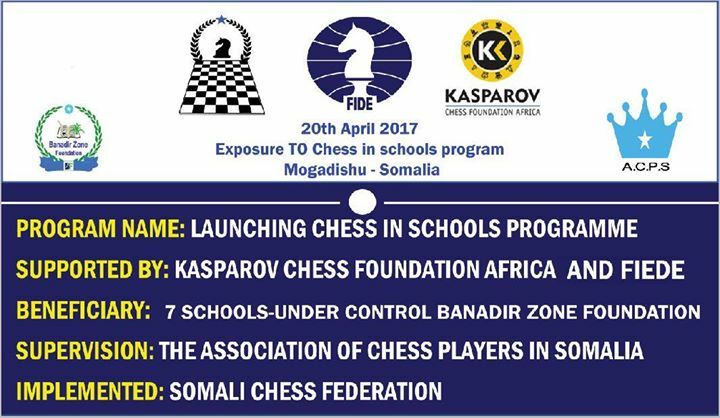 On the 20th April 2017, the Somali Chess Federation donated some of this chess equipment to schools under the supervision of the Association of Chess Players in Somalia. 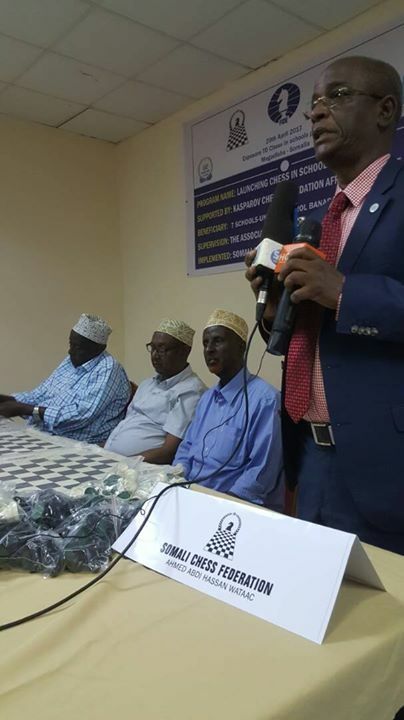 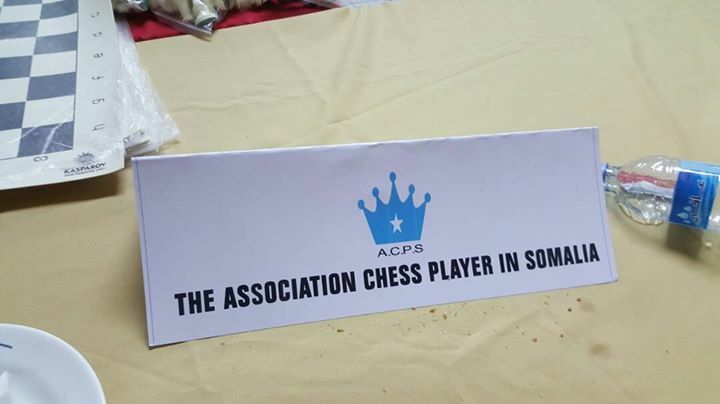 The event was held at the Hotel Shammo in Mogadishu and was graced by the presence of the President of the Somalia Chess Federation, Dr Hassan Abdi, the Federation Secretary Mr Mohammed Abdi Mohammed, the President of the Somalia Olympic Committee, Mr Abdulaahi Ahmed Tarabi and the President of the Somalia Chess Players Association, Mr Cabduqaadir Nur Buttis. 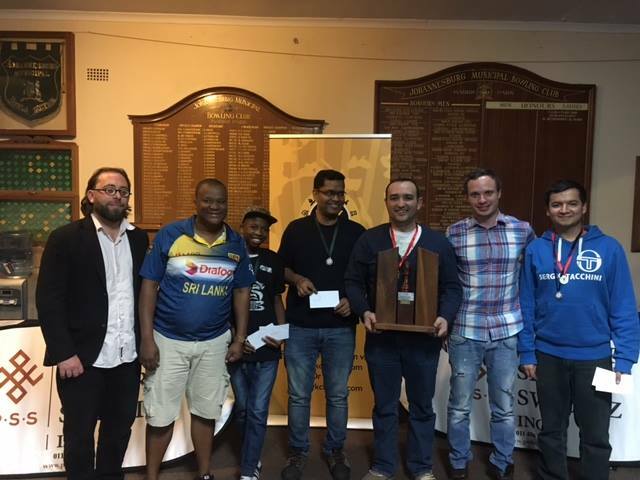 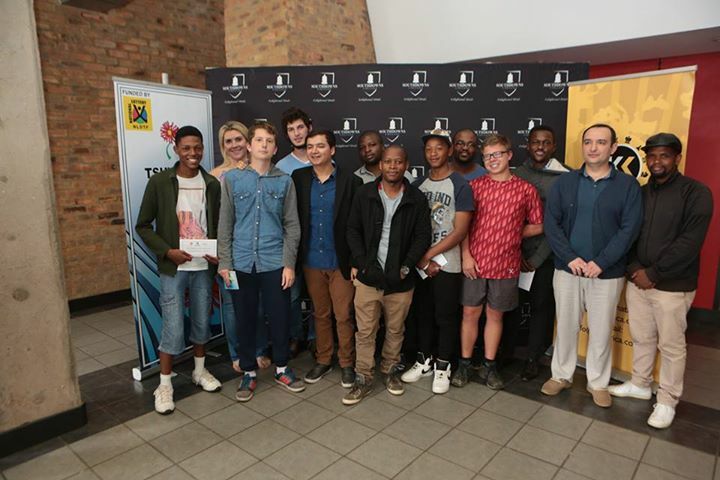 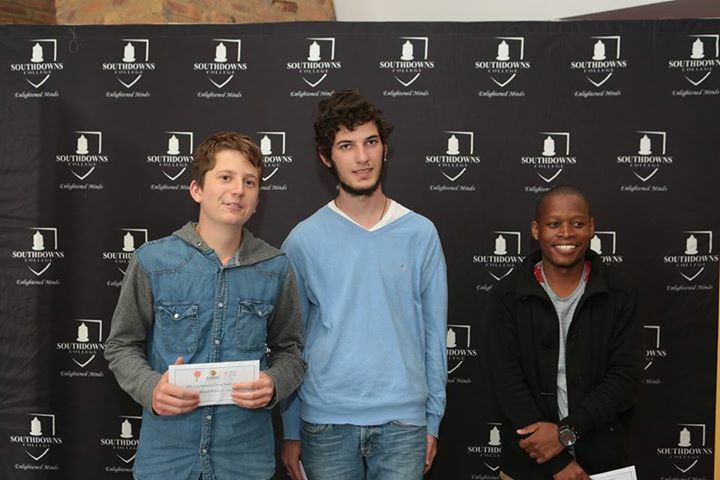 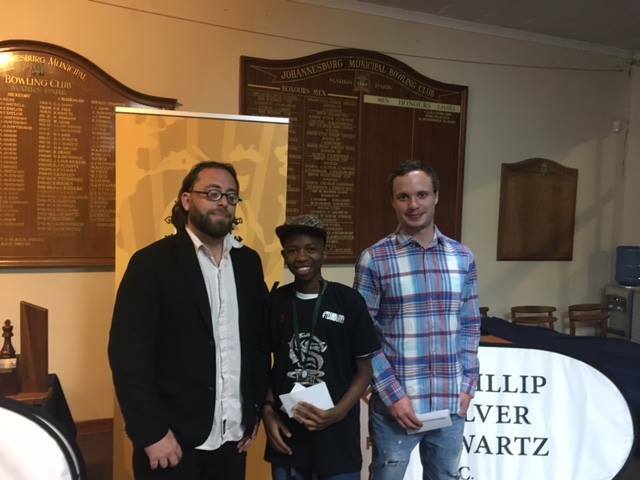 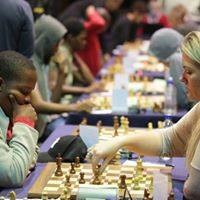 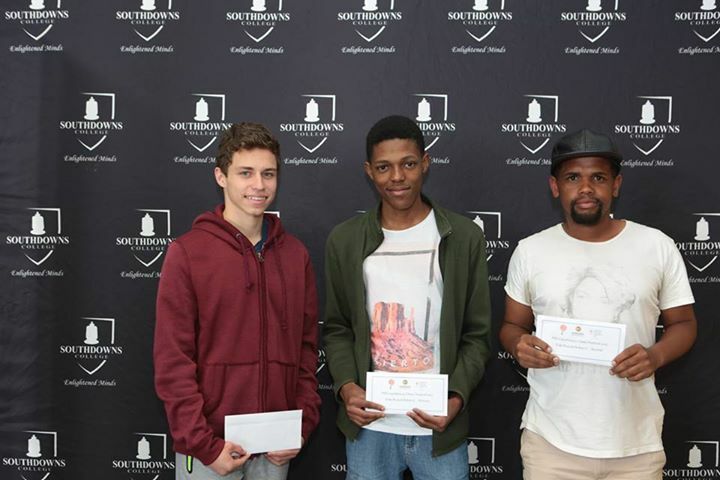 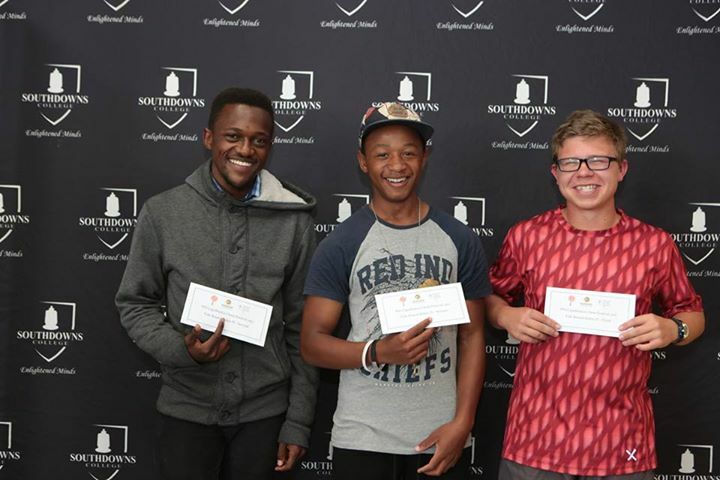 There were also various representatives from the schools as well as many local chess players. 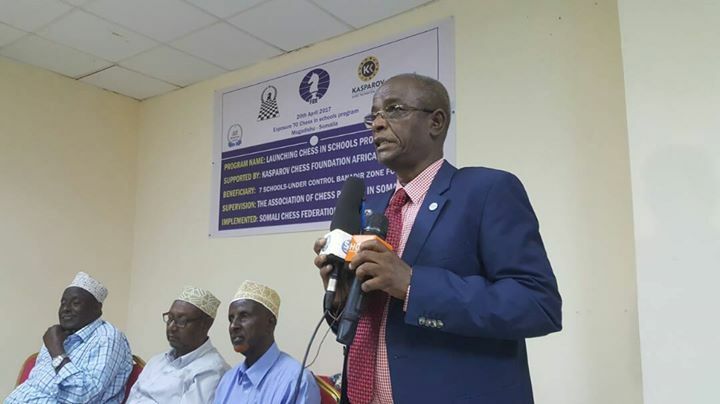 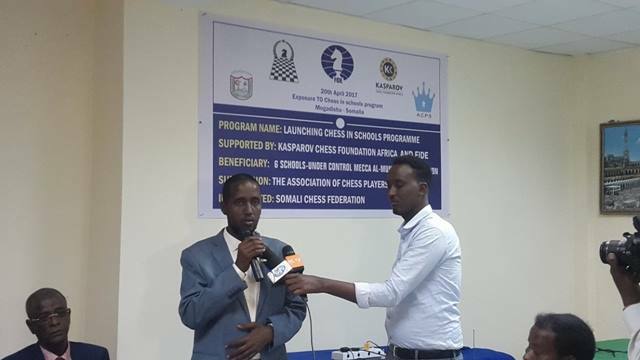 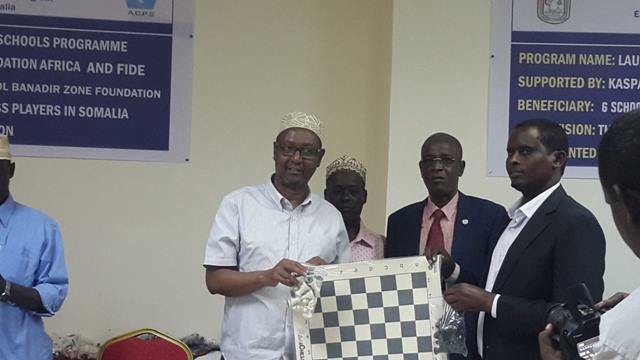 We wish to thank the Somali Chess Federation and the Somalia Chess Players Association for partnering with us and congratulate them on the great strides being made to being chess into the local schools in Somalia. 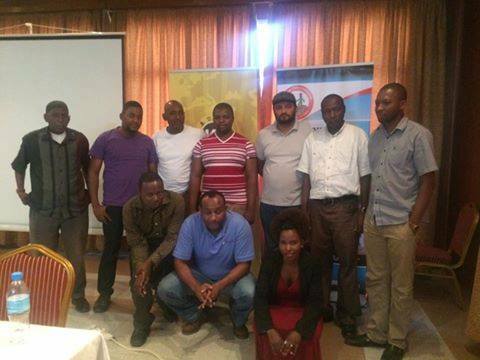 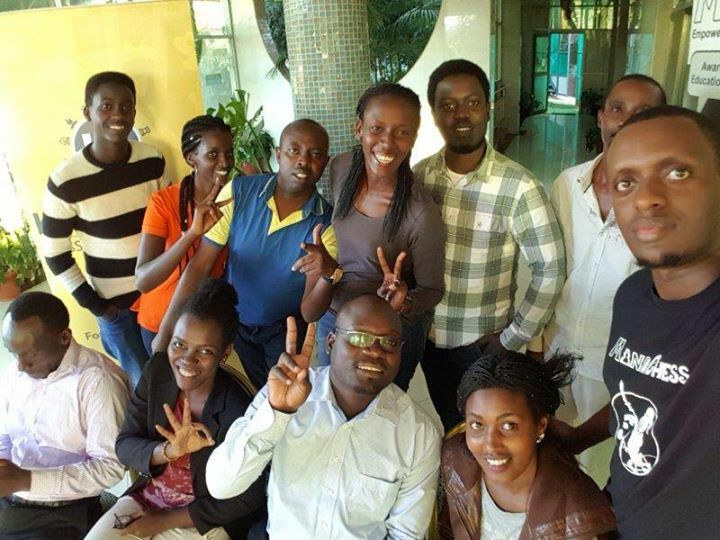 IM Arthur Ssegwanyi conducted the second CMAT training visit to Rwanda between Sunday 30th April and Saturday 6th May. 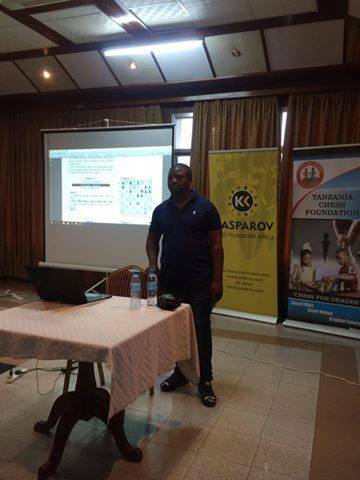 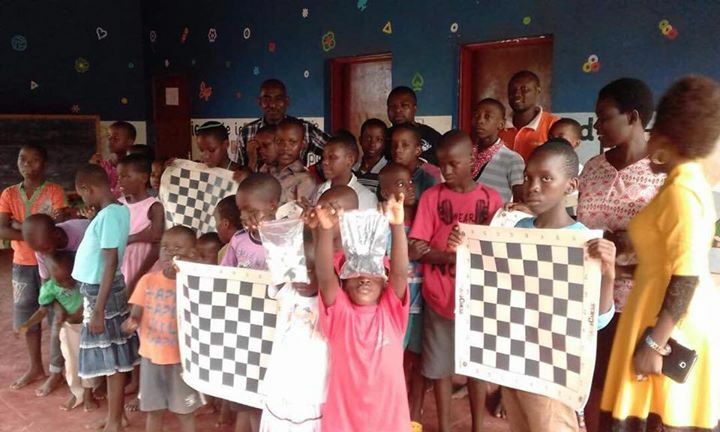 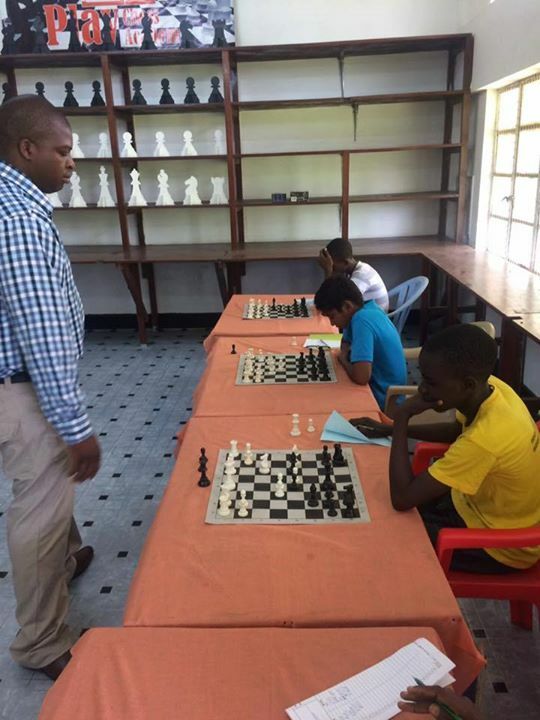 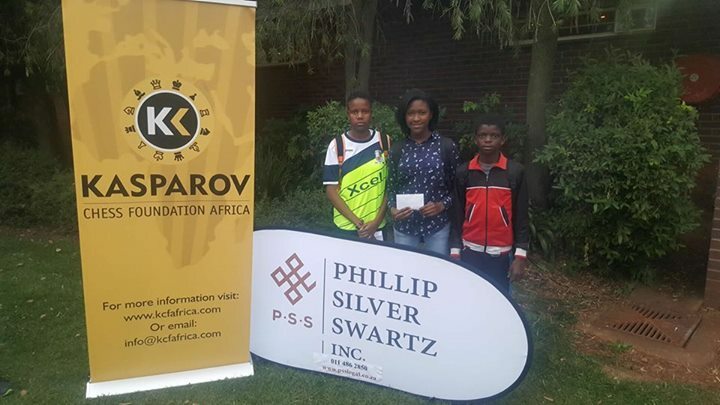 The following report was received from Mr Alain Niyibizi, Secretary General of the Rwanda Chess Federation and Country Manager for the KCF Africa MiniChess project in Rwanda. 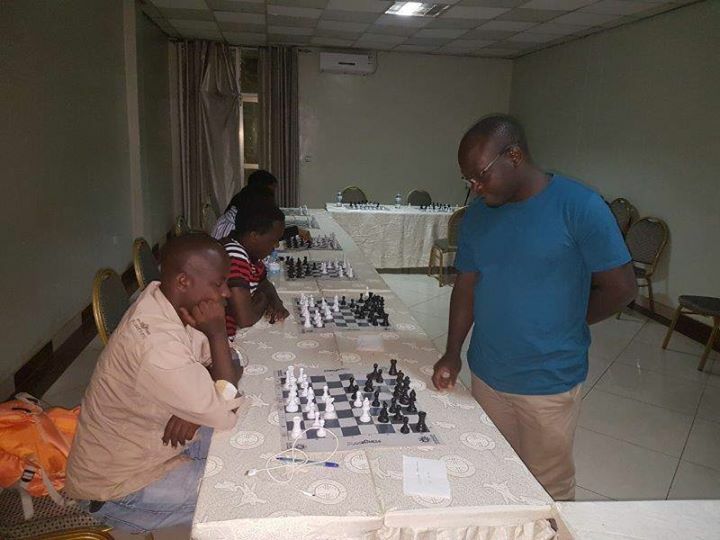 "Report from visit of IM Arthur Ssegwanyi to Rwanda"
IM Arthur Ssegwanyi arrived in Kigali on Saturday 29th April and held his first formal training session on Sunday morning. 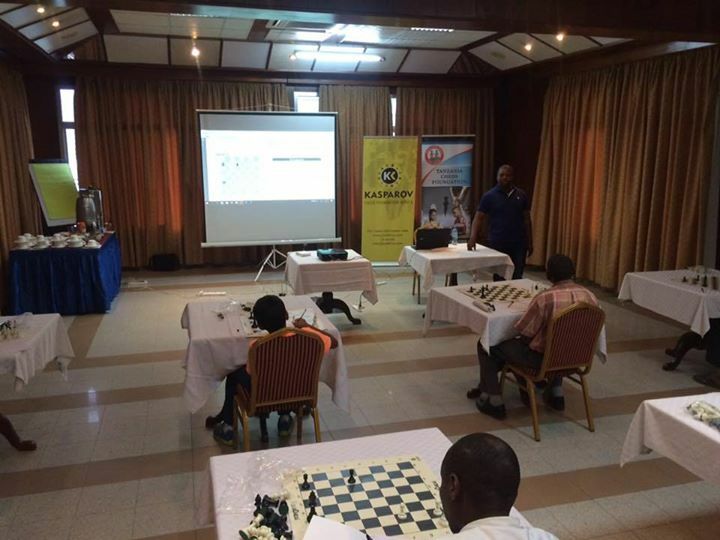 His first session focused on chess openings and simple mistakes to avoid during this phase of the game. 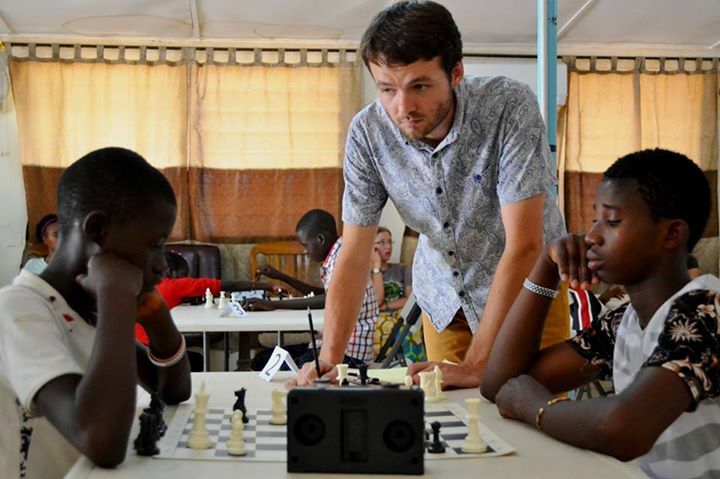 In the afternoon he spent time on essential endgames for players of below 1600 strength. 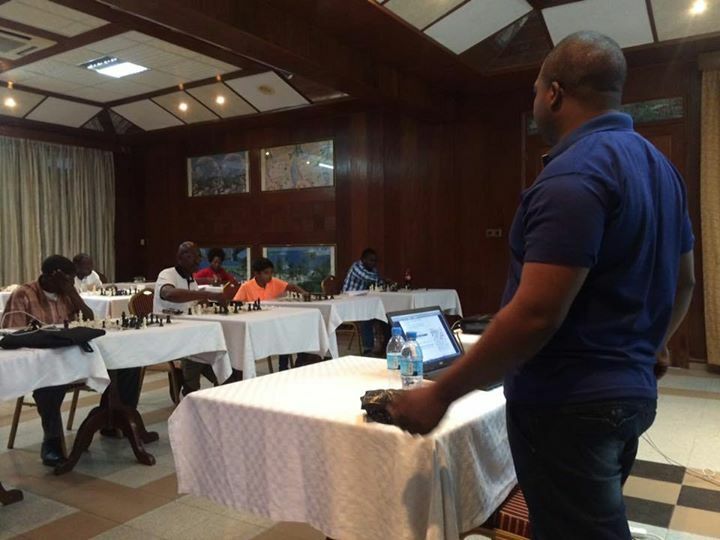 Monday saw a second full day of training with the focus being on positional understanding. 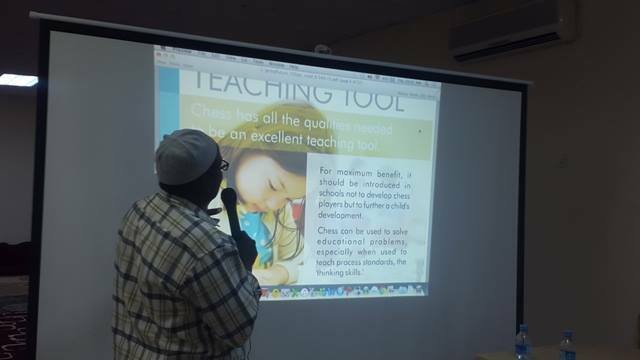 A large variety of positions were analysed together with the group. 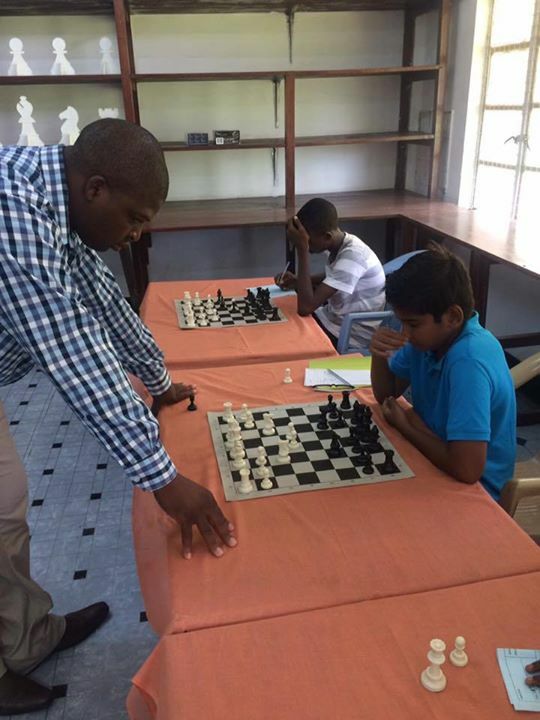 Tuesday saw Arthur holding his first one on one sessions with 4 of the trainees. 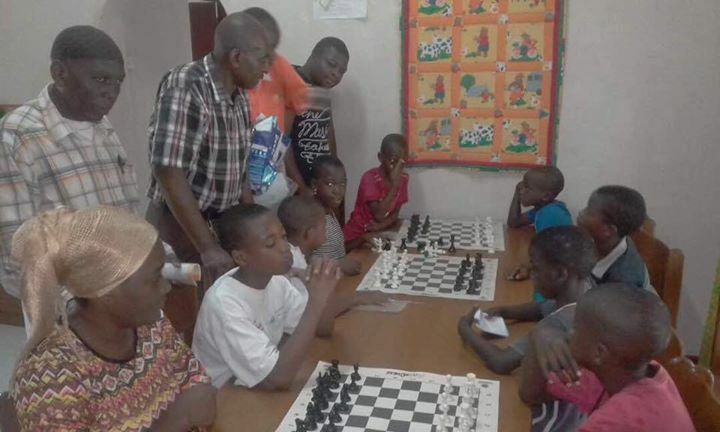 In the afternoon, this first small group visited a school called Green Hills Academy where Mrs Christella, one of our trainees, is a permanent sport's teacher. 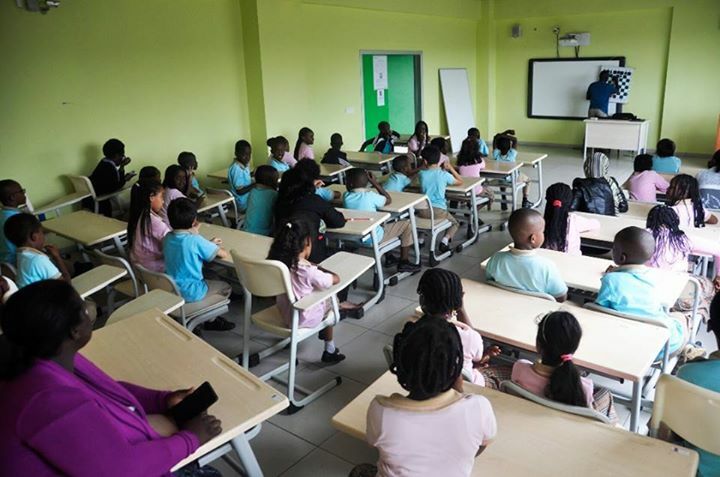 We interacted with a group of children aged between 7 and 12 and paid a courtesy visit to the principal of the school who was happy to receive us and expressed his appreciation for the visit. 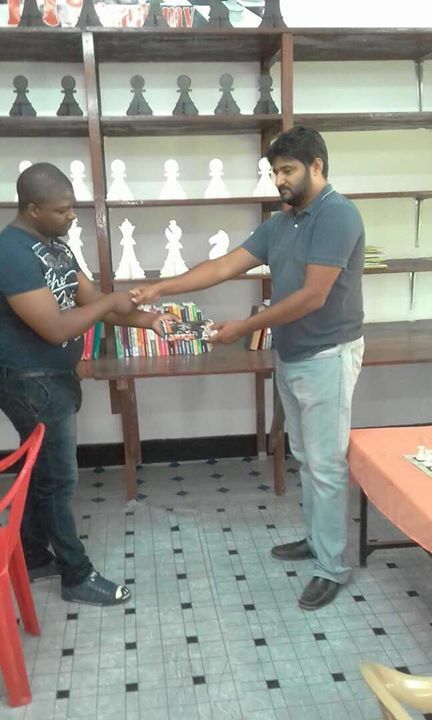 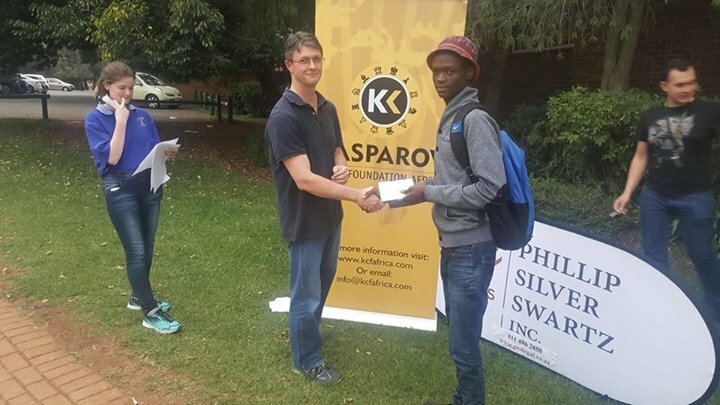 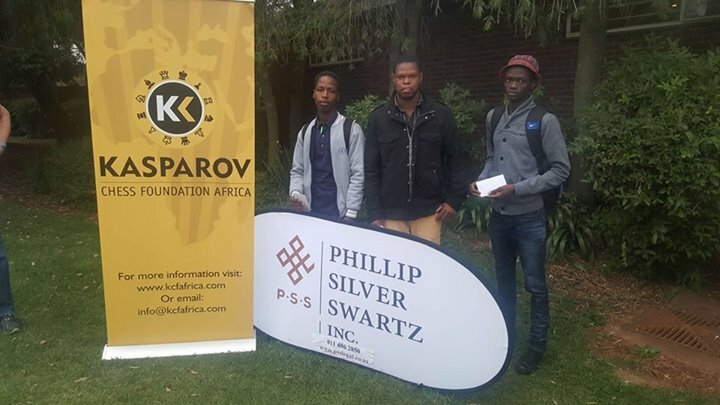 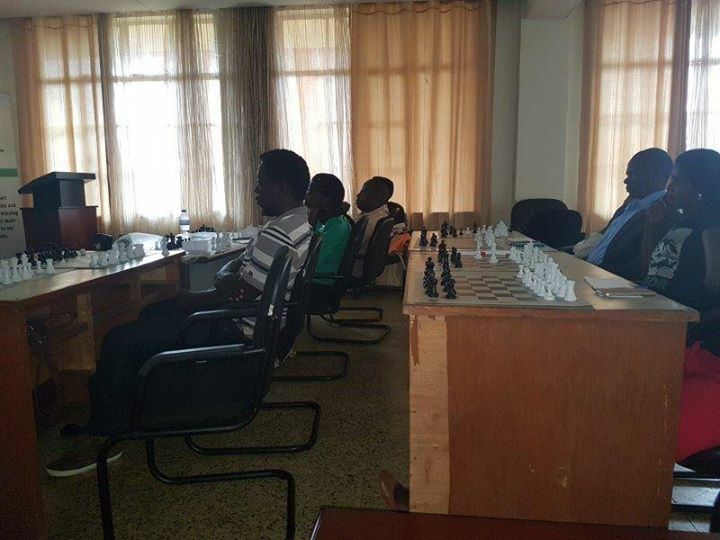 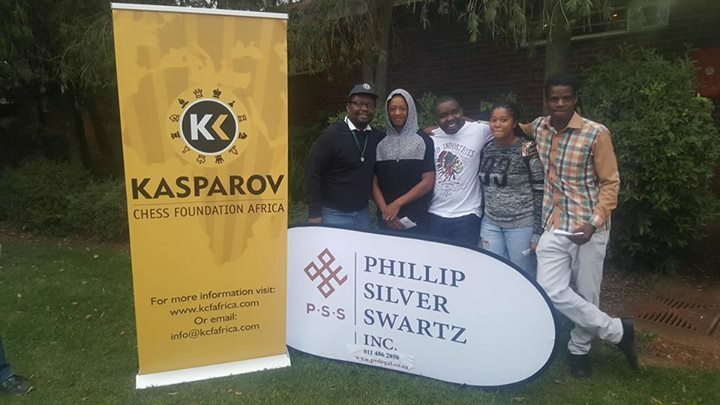 On Wednesday 3 May, the Rwanda Chess Federation was blessed by the visit of the Indian Grandmaster Sriram Jha who stopped in Kigali on his way home after competing in the Capablanca IM Norm tournament in Johannesburg, South Africa. 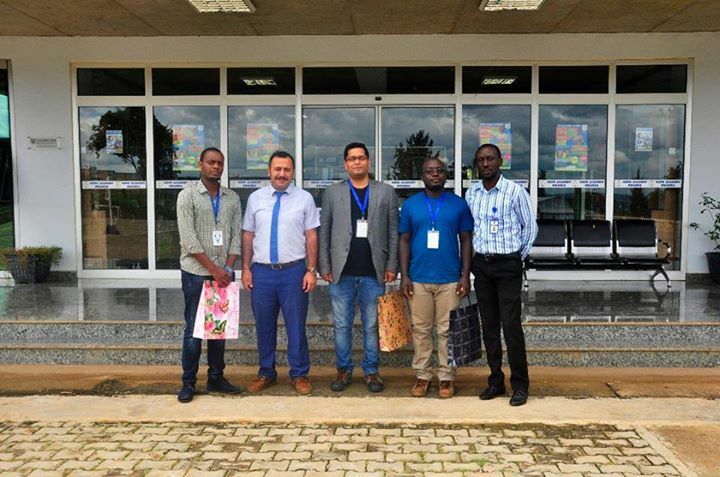 His flight schedule allowed him to spend one day with us and we used the opportunity to visit Kigali Hope Academy with both IM Arthur and GM Sriram. 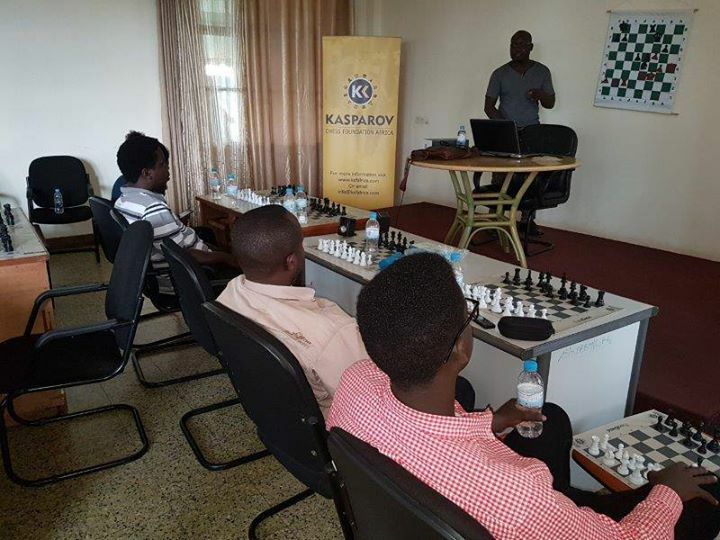 Together, they encouraged the kids and held a short coaching session before they both participated in a simultaneous match against some of the top Rwanda players. 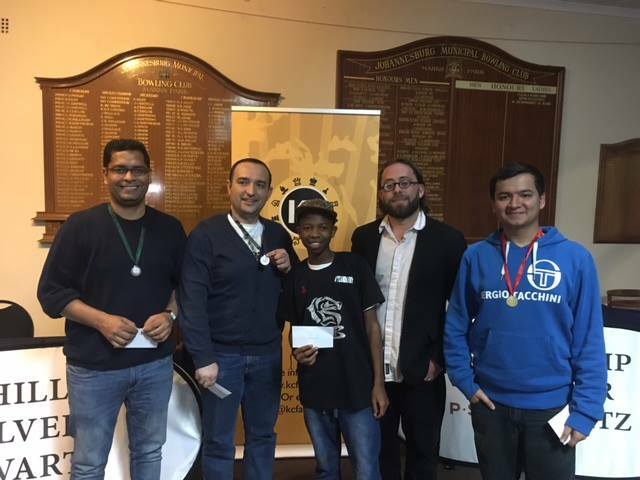 They played against 6 players each with GM Sriram winning all 6 of his matches and IM Arthur scoring 5/6. 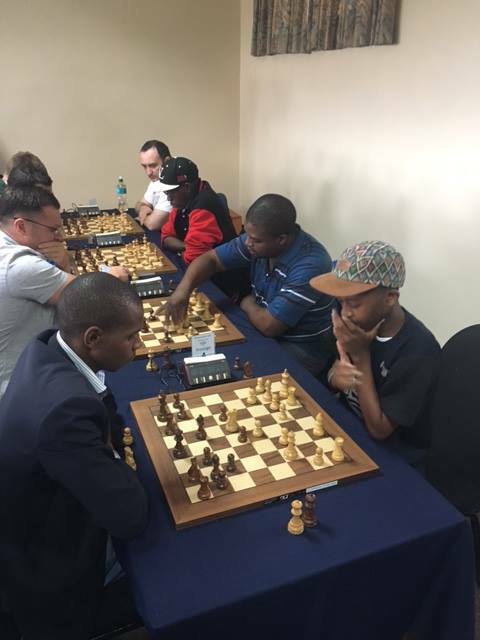 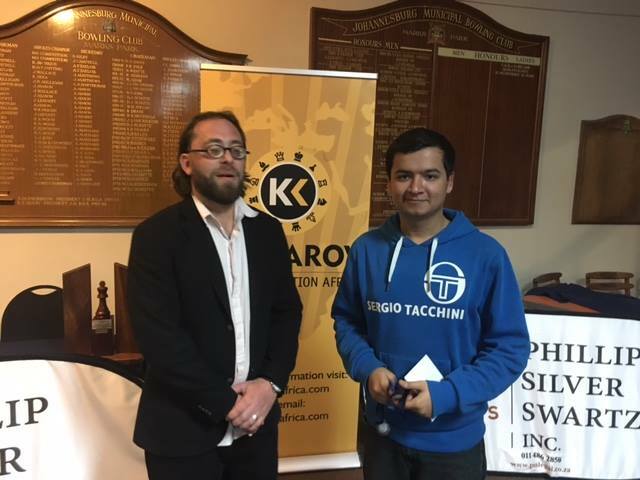 Following the departure of GM Jha on Wednesday night, IM Arthur held another round of one on one sessions on Thursday morning. 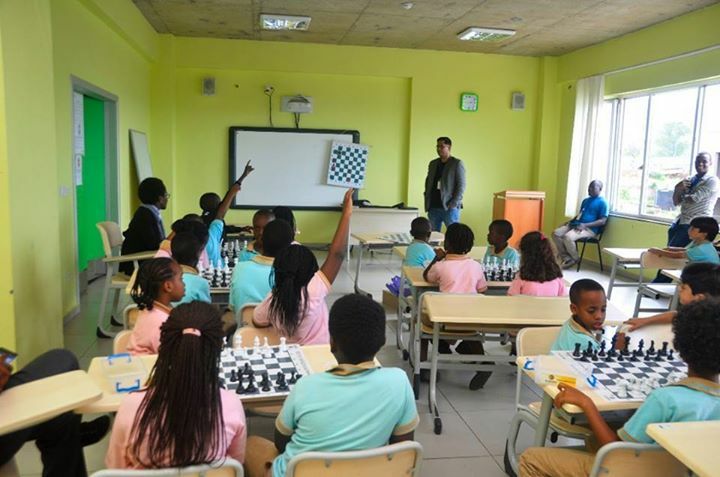 In the evening, we then visited Riviera High School where the local students are all between 12 and 16 years old. 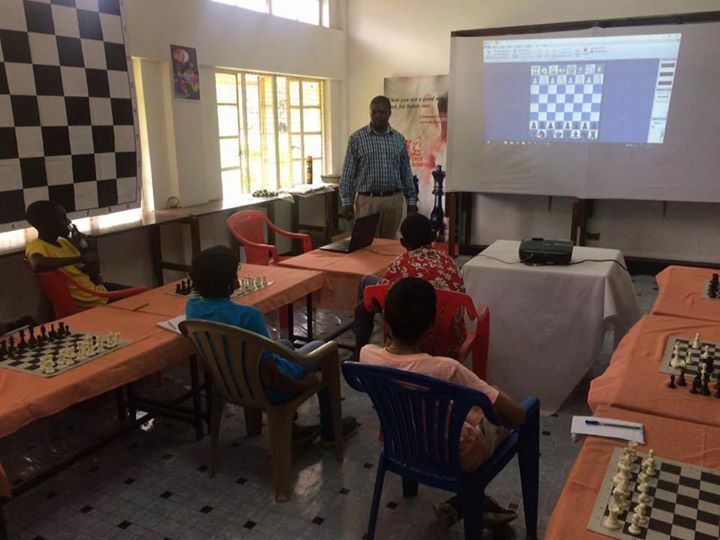 They are an active bunch who are eager to know the game of chess. 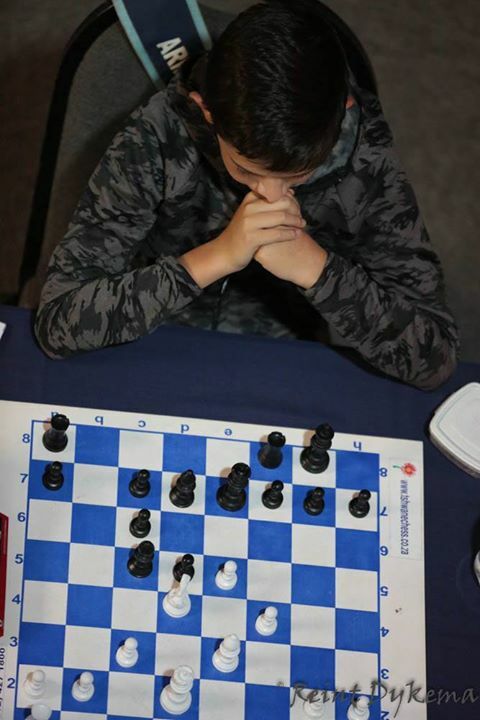 Since the group consists totally of beginners, IM Arthur did a quick recap on the piece movements and explained the differences between Check, Checkmate and Stalemate. 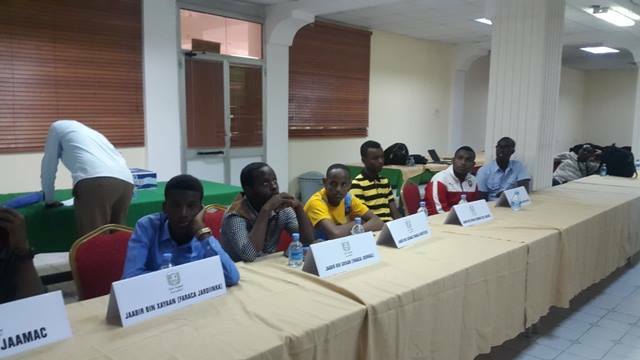 Friday saw the final round of one on one sessions concluded with the last group of 4 trainees. 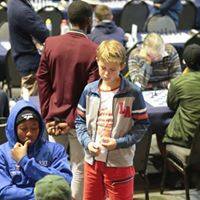 Saturday was the last day with IM Arthur and he spent this day again working on positional understanding in the morning. 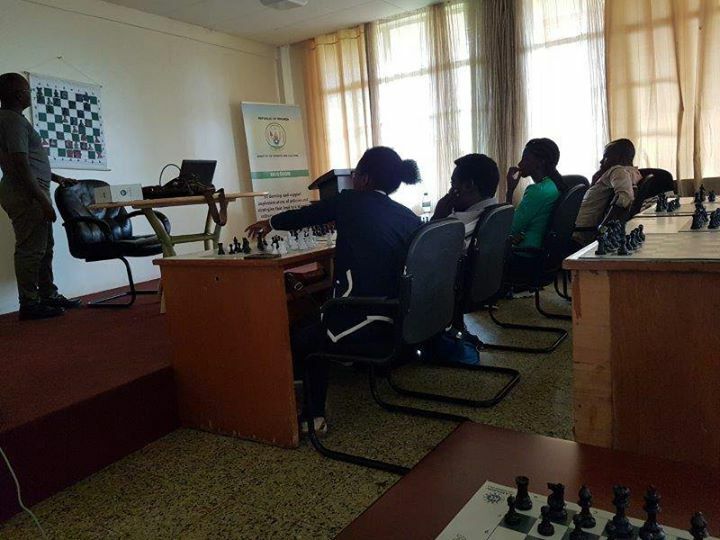 The afternoon session was then spent showing the trainees how to get the most out of their software packages such as Chessbase 14. 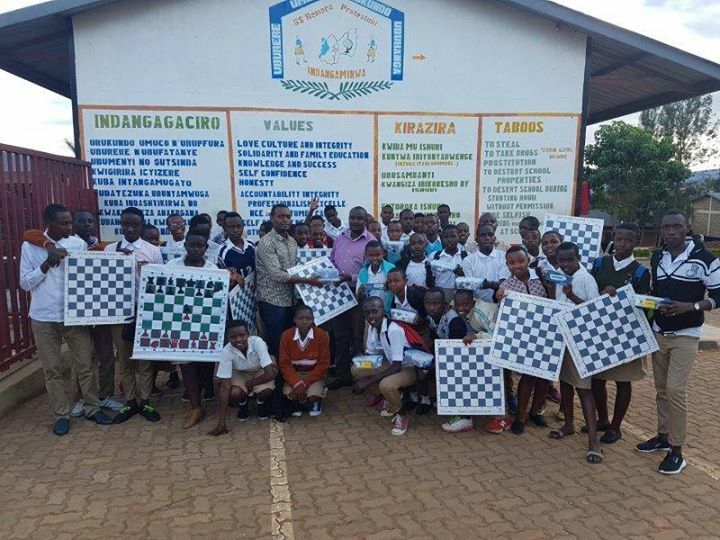 We are extremely grateful to IM Arthur for sharing his knowledge with us and we hope that he enjoyed his time in Rwanda.